The Cynefin framework is a model used to describe problems, situations and systems. The model provides a typology of contexts that guides what sort of explanations and/or solutions may apply. There are actually five domains in the framework, with the fifth one being disorder. It is not shown here. The domains are different in how cause and effect relate to one another within them. They are in the order of light transmission through the four elements: bright, light, dim, and dark. For each domain, there is a common approach, each containing sense and respond. Simple: Sense – Categorize – Respond. Complicated: Sense – Analyze – Respond. 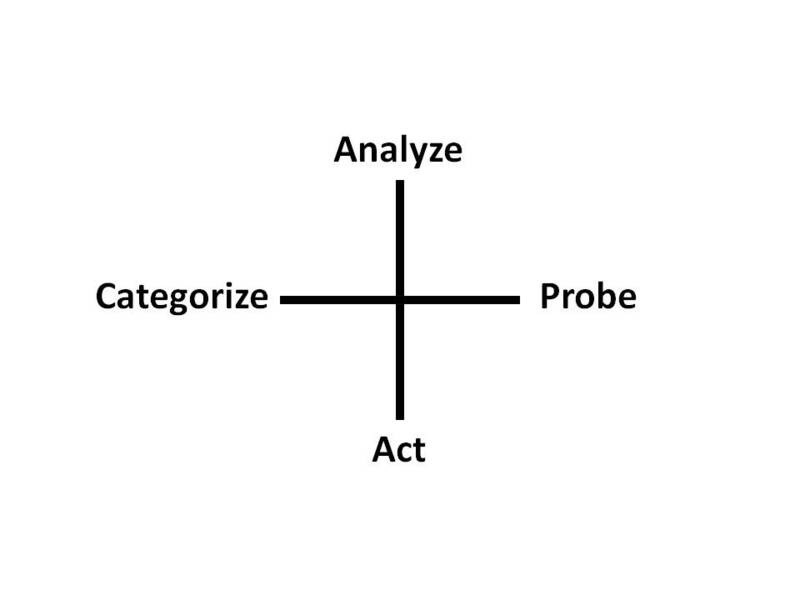 Complex: Probe – Sense – Respond. Chaos: Act – Sense – Respond. For Simple and Complicated, sense comes first, and for Complex and Chaos, sense comes second. Respond ends the approach for each domain. Can one say the Simple and Complicated are a priori, and Complex and Chaos are a posteriori? 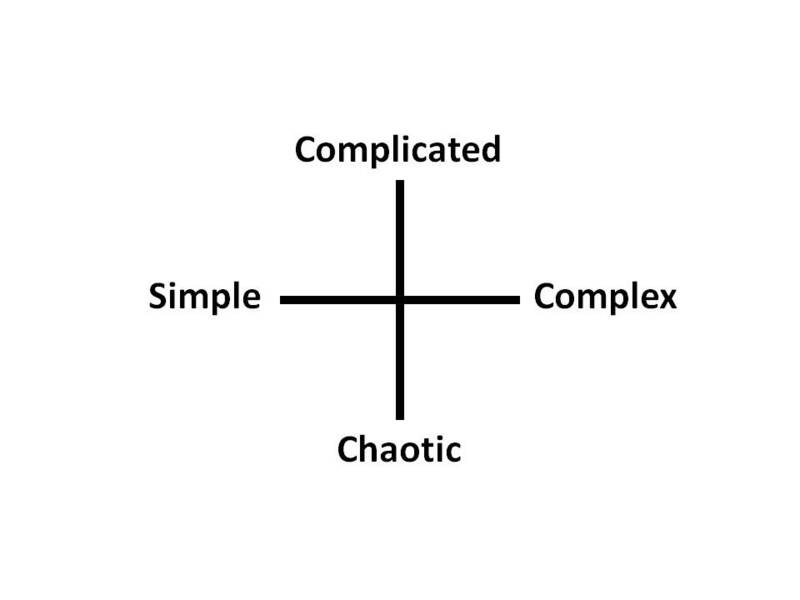 Or that Simple and Complicated are rational, and Complex and Chaos are empirical? Interestingly, if we examine the element of the approach that is not sense or respond, they have a close approximation to the fourfold of the Scientific Method. 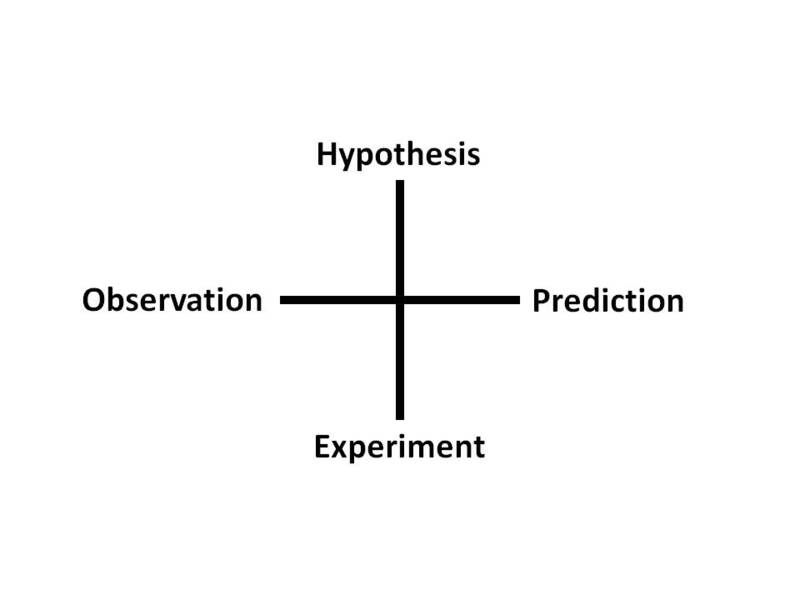 The Scientific Method (SM) is often shown as a cycle of four steps: Observation, Hypothesis, Prediction, and Experiment. This cycle is somewhat similar to Kolb’s Learning Cycle, but there are important differences. 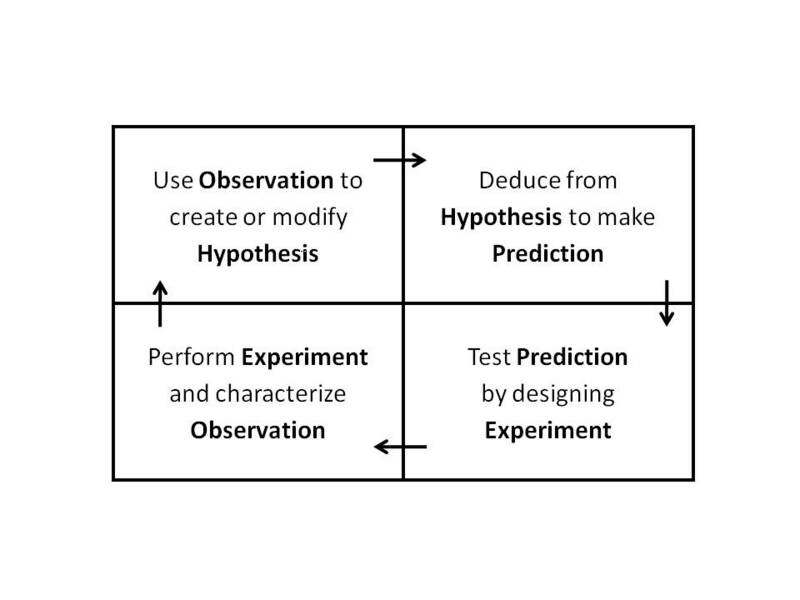 Experiment is in both, but in Kolb Experience is the result of Experiment, and in the SM, Experiment follows Prediction. I think that Prediction would ideally be a part of both, and in the SM, Experience could be included in Observation. Perhaps Kolb’s Active Experimentation is really SM’s Prediction and Kolb’s Experience is SM’s Experiment.